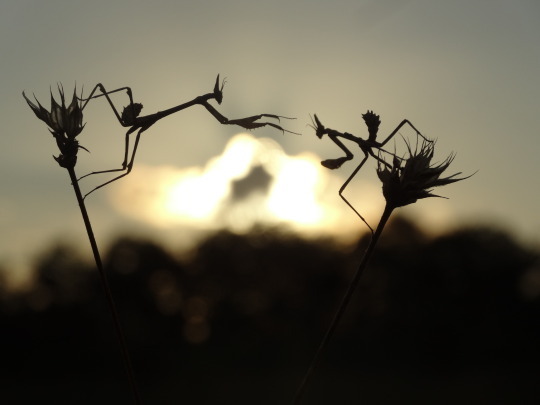 A pair of juvenile conehead mantids, beautifully photographed in France by @imalipusram, is our Observation of the Week! Sometimes an observation is cool not because the organism it depicts is uncommon or out of range - sometimes it’s a common animal, but one that is seen in a new light. Regardless of its “official” taxon, each observation on iNaturalist is also an observation of a human, and we all see and photograph nature differently - like the photograph at the top of this post, which depicts not the standard colors and surface details of the insects, but captures their shape (that head!) and behavior in a unique way. The diversity of iNaturalist users and their perspectives is pretty awesome. I went in the field to find insects, and this evening the light was especially beautiful with the sunset and the cloudy sky. I found a lot of Empusa pennata, as usual, in my favorite place (a field close to my house). And I started a shooting session of these two specimens. The crazy thing was, on the other side, a rainbow shone in the sky! I shot some photos with the rainbow in the background, but the result didn’t satisfy me [see below], because there was a stain on my lens and the photos weren’t very good. 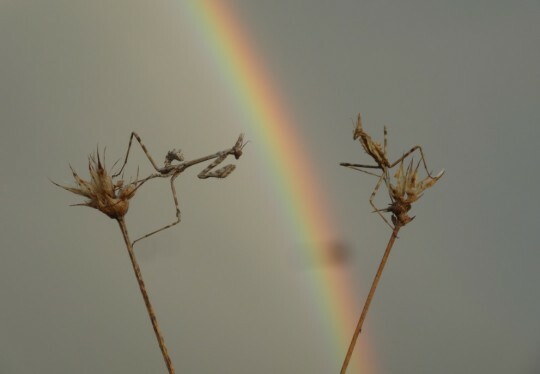 But the shot with backlighting was really nice, and one of the twenty photos was better because one of the conehead mantid tried to “play-leg” with the other. Conehead mantids range throughout southern Europe, but as Jeremie says they have very effective camouflage and are not often seen. As his photo shows, not only does the “cone” on its head break up its body shape, the protrusions from its abdomen do as well. Combined with a very “shaky” locomotion, it is a master ambush predator. Other unique aspects of this species is its use of pheromones rather than vision as a key method for finding mates, and the fact that its life cycle starts in late summer/autumn and finishes in the spring. “It's one of the only species of insect you can find during winter,” says Jeremie. - Jeremie’s got some more great photos on his Flickr page, check them out! 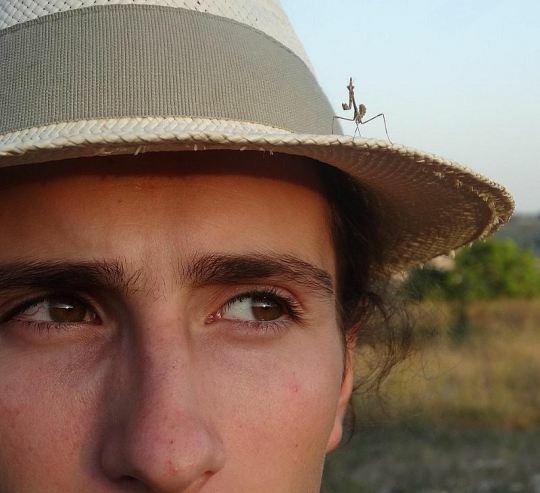 - Because conehead mantids use pheremones to find their mates, males have large, feathery, moth-like antenna - like this one! - The New York Times has a good list of ways you can help islands that have been devastated by Hurricanes Irma and Maria.